Here at Xara Skin Clinic, we are in the heart of Lane Cove in Sydney. We provide premium personal skin care services. Specialising in anti wrinkle treatments. With many years of experience in the industry. We deliver outstanding results. Prioritise our clients’ needs and requirements, strive to meet and exceed your expectations. Xara Skin Clinic understands the importance of providing safe, effective wrinkle removal treatments. We only deliver our services to the highest standards. With state of the art technology and unmatched hygiene and discretion. For a more natural treatment without wrinkle injections contact us today. People can tell if you use anti-wrinkle injections. With our treatments people will only notice the difference. Say goodbye to wrinkle injections today. We have a number of wrinkle treatments that target different depths of the skin. They can include LED light therapy, IPL (intense pulsed light), E light, RF, laser, fractional RF or 3D HIFU technology to stimulate the fibroblast cells. When it come to fighting ageing and wrinkles we have your back. Our treatments stimulate your skin to produce collagen and elastin. As a result, your skin is tighter, improves the radiance of your skin. Your fine lines and wrinkles are removed or reduced during the process. Prior to our wrinkle removal treatment. Our skin care professionals provide you with a full consultation. Discuss your expectations and explain the treatment. Our wrinkle removal treatments requires no anaesthesia. Treatments typically take about 30-45 minutes. Our second to none anti wrinkle treatment. We recommend between one and six treatments for maximum results, every two to three weeks. For multiple treatments, we offer you a package price for you to save money. You can rely on our distinguished and trusted wrinkle removal treatments. That delivers you the best possible result. Don’t wait any longer to say goodbye to your wrinkles and fine lines. Visit us or contact us at Xara Skin Clinic for a free consultation. For your wrinkle removal treatment and healthier, younger more radiant looking skin. 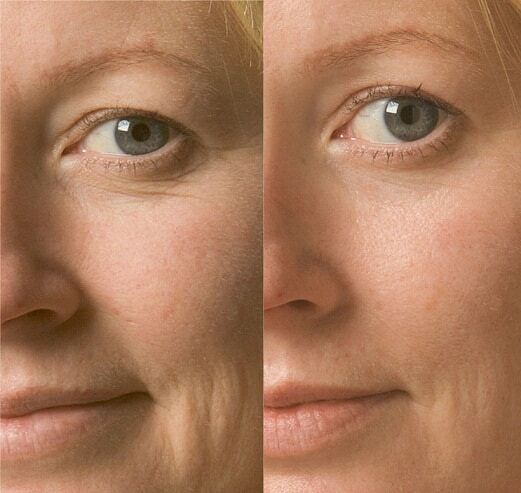 We save you time and money by having the latest in anti-wrinkle treatment machines. Only the best and latest in equipment can give you the safest and most effective treatments. Better results, less treatments saving you time and money.